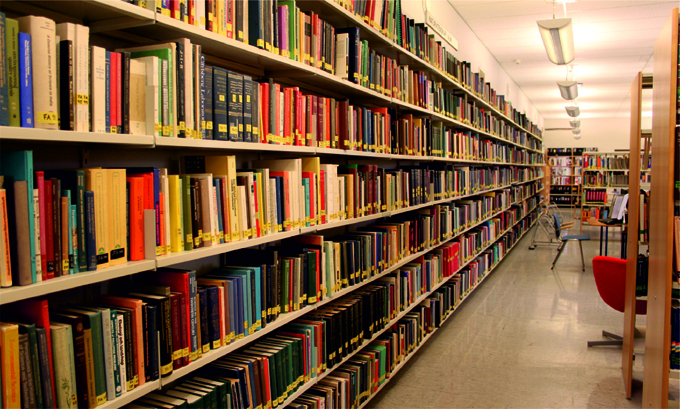 Home » Uni Updates » How Rewarding is Library Profession? How Rewarding is Library Profession? When a work is done not just for the sake of earning money, but out of love and the sheer joy of doing it well is the work that can provide meaning to life and can bring lifelong satisfaction. A person who is eternally in search of knowledge, passionate about books, and want to spend its working hours with books will find library profession rewarding. Library profession is an immensely rewarding profession as it pays good salaries to professionals, has low impact on recession and provides high job security, provides safe environment and a wide range of vacancies. The employment prospects are also positive in the sector. As the education industry continues to boom and more focus laid on equipping teachers and tutors with the right kind of study materials, the demand for great quality librarians is at an all time high. Even though there were apprehensions about the impact of digital media on the centuries old libraries, the popularity of libraries and demand for librarians are still on the rise. Moreover, the increasing number of public or private libraries commissioned by government, non-government organizations, social groups or youth associations, corporations and firms require a large number of library professionals for the smooth running and upkeep of the libraries. Library science is an interesting subject for all the book lovers, knowledge seekers, and aspiring librarians. Apart from job satisfaction, qualified librarians can be assured of getting a handsome salary. As per the US Bureau of Labor Statistics, library assistants and technicians took home an average hourly wage of $13.43 in 2015. The lowest paid library assistants in the industry made an average hourly rate of $9.34. Many library assistants earn a pay of more than the federal minimum wage, which is quite good considering they don’t have to spend money on a college degree. Librarians, on the other hand, took home a salary of nearly $56,880 in 2015, while the lowest paid librarians made a salary of about $33,810 in the same year. Even though it can be argued that the digital media has affected the footfalls into libraries to some extent, the popularity of good old libraries is still on the rise. As per the Bureau of Labor Statistics, employment prospects for library assistants and technicians and librarians will keep on rising over the years. The government organizations, non-government organizations, social groups or youth associations, corporations and firms are commissioning more and more public and private libraries with each passing year. Furthermore, the libraries are getting digitized to keep up with the technological revolution and more number of library professionals are being needed to maintain the operations of libraries. You don’t necessarily have to be a librarian or a library assistant or technician to work in a library. The job prospects in libraries for well-qualified professionals are immense with the changing times. Software professionals can build software for libraries. Technical services library professionals acquire, create, and arrange library materials. Administrative service library professionals manage administration part of libraries. Unlike other sectors that take a massive hit in recessions such as the finance sector, aviation sector, retail sector, consumer durable sector, the educational industry and libraries remain unaffected. There are almost no layoffs, job cuts, or pay reduction for library assistance and technicians and librarians and they enjoy job security even in tough times and financial crises. Librarians enjoy the safest and the most risk free working environment. There are also no health hazards associated with working in libraries. Librarians work in the most tranquil, peaceful and intellectually charged environments. the article inquires where librarian awards fit into the larger context that include Nobel’s, Guggenheim’s, etc. and ultimately asks the questions: what qualifies as prestige within our field.